Going shopping for kitchen cabinets can be an intimidating experience. 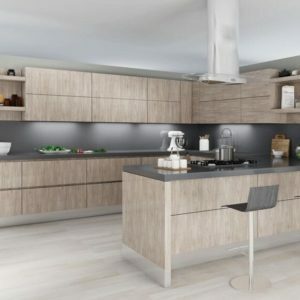 Because there are literally hundreds of different styles, colors, wood finishes, and other choices to choose from, in many cases a casual outing to your kitchen cabinet store can be more stressful than anything else. 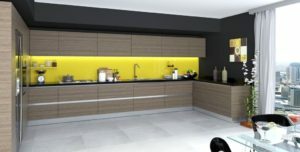 To help make your kitchen cabinet shopping experience more pleasant, it’s a good idea to have at least some kind of idea of what you want. Don’t worry if you aren’t sure. Here are three questions to help narrow down your options. You may not know what you truly want in your new kitchen cabinets. But you probably have a good idea of what you don’t want. Ask yourself this question: “What is it about my current kitchen cabinets that I really don’t like?” In many cases, it’s the color or style. But it also could be the size, configuration or the durability of the wood — or lack of it. Understanding what you don’t like about your existing kitchen cabinets can help get you started on creating an idea of what you want to replace them. If you plan on remaining in your house for many years to come, you want to choose cabinets that you like. But if it’s likely you are going to move soon, you probably are better served thinking about what potential buyers would like. 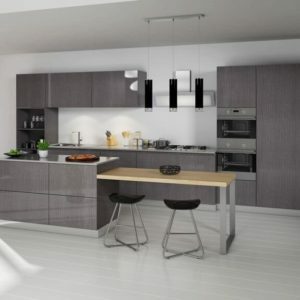 Kitchen Cabinets West Palm Beach — What Kitchen Style Do You Want? A third question is: “What type of kitchen would you like?” It might be contemporary or traditional, sleek or cluttered, city or country. 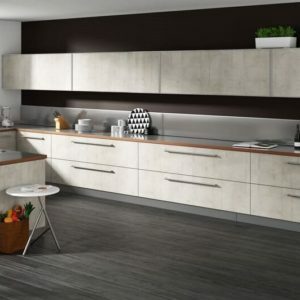 Thinking about the answers to these questions ahead of time can save you time and stress at the kitchen cabinet store. They may not give you all the answers, but at least they can help you narrow down your choices. If you are like most people, you have one cabinet or drawer in your kitchen that is filled mostly with old jars of spices. It’s common to buy a particular spice for a special recipe, then store it in that cabinet until you need it again. The problem is that you may never use that particular spice again. And when you keep buying new spices and dried herbs, that cabinet can very quickly get filled up. Even if you were to go back and find that spice or herb and use it, odds are it’s not going to taste the same as when you used it when it was brand new. That’s because dried spices and herbs lose their potency over time. Within a year, most spices have lost a majority of their original flavor. And keep in mind that the clock starts ticking when the spice is originally manufactured, not when you buy it at your local grocery store. How long have the spices and herbs been sitting on the store’s shelf? In many kitchens, at least half of the dried spices and herbs are already out of date and are simply taking up space. You can instantly give yourself more room and reduce clutter by simply tossing any spice or herb you haven’t used in the past year. Once your spice cabinet is cleaned out, don’t fill it up again with outdated, stale spices and herbs. Whenever you buy a new flavoring ingredient, use a marker to write the date of purchase on the label. That way you can tell how old the spice or dried herb is and throw it away if it has been sitting around too long taking up valuable space in your cabinet. Many homeowners want to remodel their kitchen. But they have a difficult time telling if they really need it. Remodeling a kitchen can be an inconvenient and costly project. So how can you tell if you are ready to put up with the disruption and expense of a kitchen remodeling project? Kitchen Remodeling Boca Raton — When Was the Last Time You Remodeled? The first consideration is how long it has been since you last remodeled your kitchen. If it has been more than 10 years, if you can’t remember, or if you are sure that you have never remodeled your kitchen as long as you have been living in your house, you could be due for a kitchen remodeling. Kitchens are the one room in your home that takes the most day to day abuse. They are used daily by just about everybody in your family. And unlike places like rec rooms or living rooms, they are “active rooms”. That means that people use the kitchen for specific activities, such as cooking and eating. As a result, kitchens age faster than other rooms in your home. They get dirtier, they attract more clutter, and they take more wear and tear than just about anywhere else in your house. 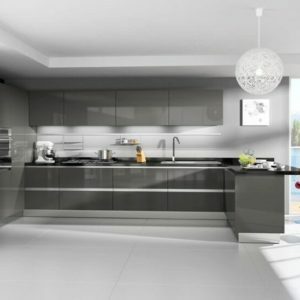 Kitchen Remodeling Boca Raton — How Do You Feel about Your Kitchen? But you don’t have to wait a decade to remodel your kitchen. If you walk into your kitchen each morning and you absolutely hate what you see, then you probably need to make some changes sooner. The kitchen is a room that you “touch” every day. So if you aren’t happy with it — or you actively hate your kitchen — updating it will improve your life in more ways than one. Put simply, if you want to update your kitchen, then you absolutely should … regardless of how long it’s been since the last time you remodeled. One of the worst experiences any homeowner can have is spending thousands of dollars updating their kitchen cabinets and then walking into the home of a friend or neighbor to discover the exact same cabinets hanging in their home. This nightmare scenario can be avoided when you have Florida custom cabinets installed in your kitchen by CK Cabinets. 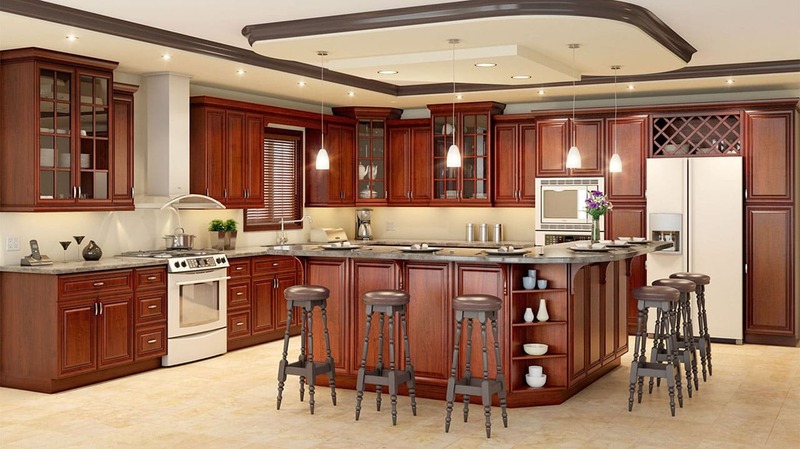 Most homeowners use standard cabinets, or box cabinets, when renovating their kitchen. These are the type of cabinets you can find displayed at any big box home improvement store or in the cabinet showroom of most commercial cabinet businesses. The benefit to using standard cabinets is cost. They typically are cheaper than custom cabinets. Another benefit is availability. Most cabinet warehouses have shelves filled with box cabinets stacked to the ceiling. But the drawback is uniqueness. When you install box cabinets in your kitchen, you are getting the same kitchen as hundreds or even thousands of other homeowners. Custom cabinets are made to order. That means they are built specifically to the dimensions of your kitchen. So there is no “making them fit” like there is with standard box cabinets. You also get to decide the exact finish you want for your cabinet faces so you can match your existing flooring, paint, and decor. Or you can create an entirely new kitchen based on your own unique vision. With custom cabinets your only limitation is your own imagination. When you finally show off your new kitchen to your family, friends, and neighbors, you want them to be impressed. It’s not going to be impressive if you use the same cabinets as hundreds of other people. Florida custom cabinets allow you to bring your own unique vision to life. Most homeowners who are renovating their new kitchen probably look first at replacing their cabinets. After all, it’s the cabinets that take the most wear and tear, especially if you have a big family. Floors are usually the next thing to be replaced. After all, they will have to match the new cabinets. Plus, if you are ripping everything out, there’s a good chance your old floors will look even older once you are done. But when it comes to appliances, a lot of homeowners will keep their existing stoves, refrigerators, and dishwashers. Especially if they are relatively new, a lot of people will opt to hang on to their existing appliances. But there are benefits to going with all new ones. First of all, when your kitchen remodeling project is done, you are going to want your kitchen to look dramatically improved. If you change out the cabinets, floors, and perhaps the paint on the walls and ceiling but push the same old appliances back where they were, it’s going to diminish this effect. Second, if you haven’t been shopping for appliances recently you probably are going to be surprised by the technological improvements that have been developed just in the past couple of years. We’re talking more than just refrigerators that can give you ice water from the door. Today’s high tech refrigerators have smart technology that can plan your menus, create shopping lists, and even order food delivery via the Internet. Then there are the screens. Today you can find interactive screens just about everywhere, including refrigerator doors. And appliances are more efficient than ever before, using far fewer utilities than your existing appliances. So if you are planning an upgrade of your existing kitchen, save a little room in the budget for brand new appliances as well. Choosing new kitchen cabinets for your home is an important decision. In most cases, the cabinets you choose will remain in your kitchen for years, or even decades, to come. So you want to make sure you select the right cabinets. If you decide later that you aren’t happy with your choice, it can be a costly mistake. Many homeowners will take samples home from the cabinet showroom so they can see what their new cabinets might look like. When they arrive home they hold the sample up to their existing cabinets and try to envision what the whole kitchen will look like with that cabinet color and style. If they like what they see, they will so with those cabinets. Big mistake. Kitchen cabinets are too big of a decision to make quickly after only seeing how the sample looks once. Your kitchen looks differently in the morning than it does at night. And it looks even more different at high noon. So if you look at the same once at, say 4 p.m., you won’t really get a good idea of what your new cabinets might look like at 8 in the morning or 8 at night. A better plan is to attach the sample to your existing cabinets using two-sided tape or a clip and leave it up for at least a day. As the light in your kitchen changes, note how differently the cabinet sample looks. You can even ask for a couple of different samples so you can attach them to different areas of your existing cabinets. The cabinets on your west wall will catch the light differently than those on your north wall, for example. This will give you a truer picture of what your new cabinets will actually look like. CK Cabinets Does Bathroom Remodeling in Fort Lauderdale, Too! 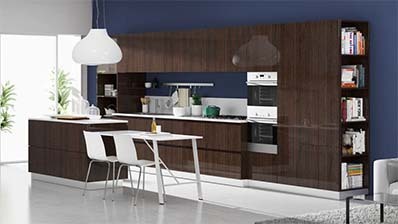 When most people think of cabinet companies, they often associate them with kitchen remodeling. After all, you probably have more cabinets in your kitchen than anywhere else in your home. But CK Cabinets also does bathroom remodeling in Fort Lauderdale. In fact, those two rooms — the kitchen and the bathroom — probably account for the majority of the home remodeling projects we do. The Linen Cabinet — This cabinet is often floor to ceiling and contains shelves for holding bath towels, hand towels, washcloths and many other bathroom-related linens and things. The Vanity Cabinet — This cabinet is usually built into the vanity that holds the bathroom sink fixtures. Frequently, it provides storage space beneath the sink and may include drawers. It often contains hair dryers, curling irons, and other small bathroom appliances. While some bathrooms have many other cabinets — both built-in and freestanding — at least one or more of these three are found in practically every bathroom. Picking out cabinets for your bathroom remodeling in Fort Lauderdale requires every bit as much care and attention as picking out your kitchen cabinets. 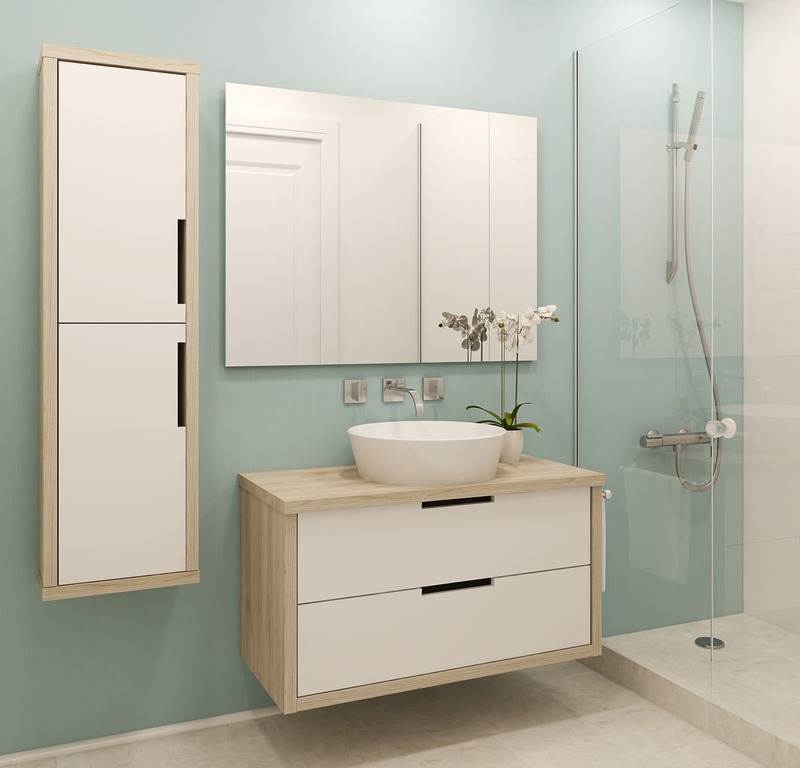 In fact, there is a strong case to be made that because most people use their bathroom cabinets on a daily basis more often than their kitchen cabinets, even more care should be taken to select the best ones for your bathroom remodeling in Fort Lauderdale. That’s where CK Cabinets can help. We’ve helped hundreds of homeowners in Fort Lauderdale and elsewhere in Fort Lauderdale transform the bathroom of their dreams into reality. And we can help you, too! 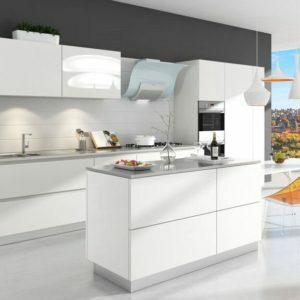 If your kitchen is outdated, worn out, beaten up, or you are just tired of looking at it anymore, then you should consider kitchen remodeling. Replacing your existing cabinets, appliances, countertops and other elements of kitchen remodeling in Fort Lauderdale not only updates your kitchen and makes it more functional, but it also can increase the potential resale value of your home. There are some household projects that most people can handle on their own: Maintaining their lawn and landscaping, painting a bedroom, or even replacing a carpet or rug are doable, depending on their skill set and experience. But kitchen remodeling usually isn’t a “Do-It-Yourself” project. The scope is simply too large and your kitchen is too important to rely on an inexperienced craftsman, regardless of your good intentions. For something as important as a kitchen remodeling in Fort Lauderdale, it’s usually best to leave it to the experts, like those at CK Cabinets. We’ve helped dozens of your friends and neighbors transform their drab, tired, and inefficient kitchen into a neighborhood showcase that they can proudly show off to their family and friends. And we can help you, too. You don’t always have to break down your kitchen to the bare studs to get the kitchen remodeling project of your dreams. In some cases, just new cabinets and maybe a new countertop is all it takes to make your kitchen look brand new. 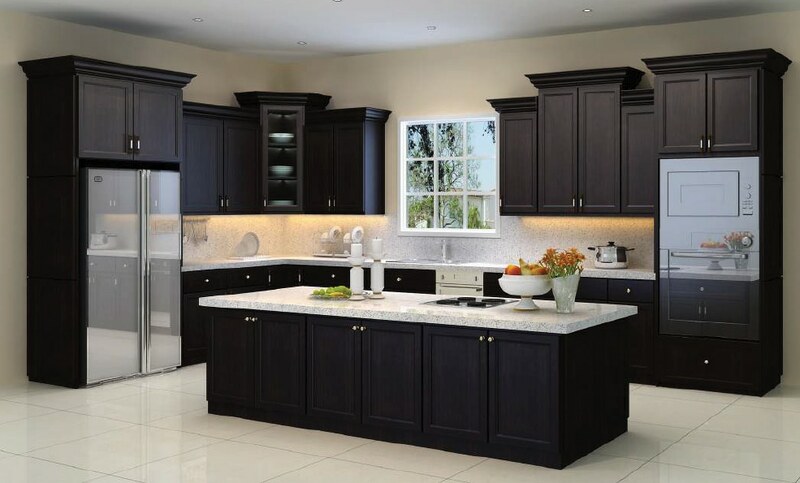 Whatever your kitchen remodeling Fort Lauderdale budget, CK Cabinets has the skills, experience, and expertise to create the kitchen of your dreams. If you hate your current kitchen, don’t continue to live with it. 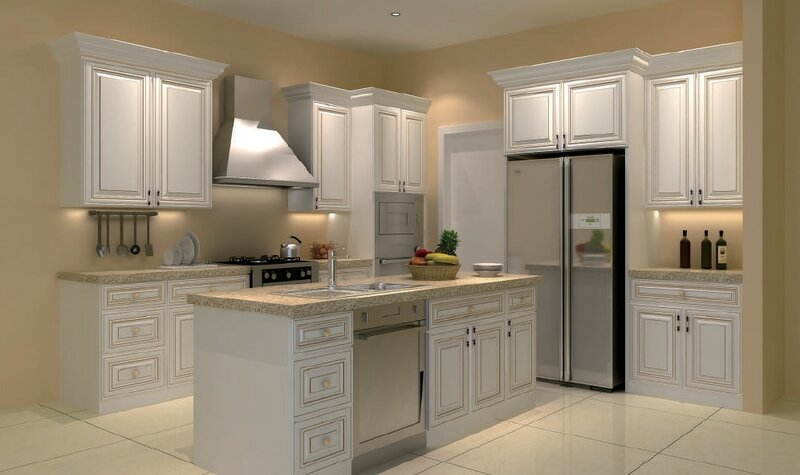 Make the upgrades you want with CK Cabinets, the leading contractor for kitchen remodeling Fort Lauderdale. The best thing about planning kitchen remodeling projects is that you can make them as elaborate or as simple as you want. You are only limited by time, money, and your imagination. Large scale kitchen updates strip the existing kitchen down to the bare stud, then rebuild the room according to an entirely new design plan. It can include new cabinets, new countertops, new appliances, and even a new floor. A more simple kitchen remodeling project could simply include new appliances and perhaps a fresh coat of paint or wallpaper. The best approach to planning a kitchen remodeling project is to think big. Imagine what you would do if money and time were no object. This is how you can get your best ideas. While you may not be able to accomplish everything on your “wish list”, at least you can come up with some terrific ideas. You can always add the remaining elements later when your budget allows. A lot of homeowners will hold themselves back by planning their kitchen remodel based on their current floor plan. They might simply replace existing cabinets with new ones in the same places, for example. Or they might replace one refrigerator and stove with the same models, only brand new. A better plan is to throw the game plan out completely and start from scratch. You don’t have to live with your existing kitchen layout, especially if you hate it. Instead, design your dream kitchen. Only then can you make it a reality. Once you have a design for your new kitchen, the next step is to get an estimate on its cost. CK Cabinets can help. 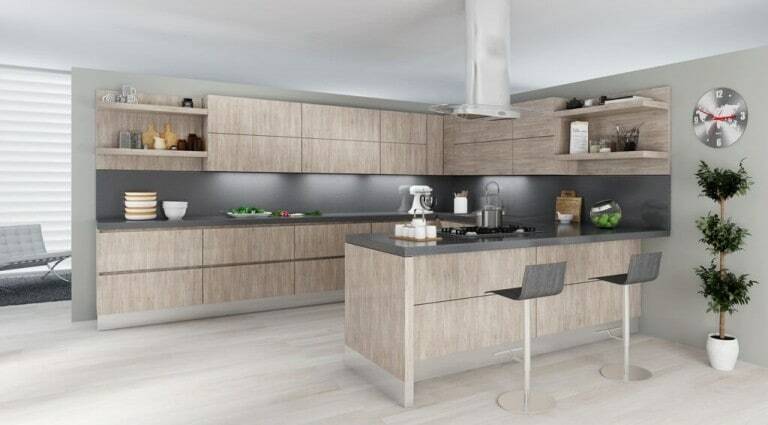 Simply contact us for your FREE consultation and our kitchen design experts can put a price tag on your dream kitchen and start the process of transforming it into reality.